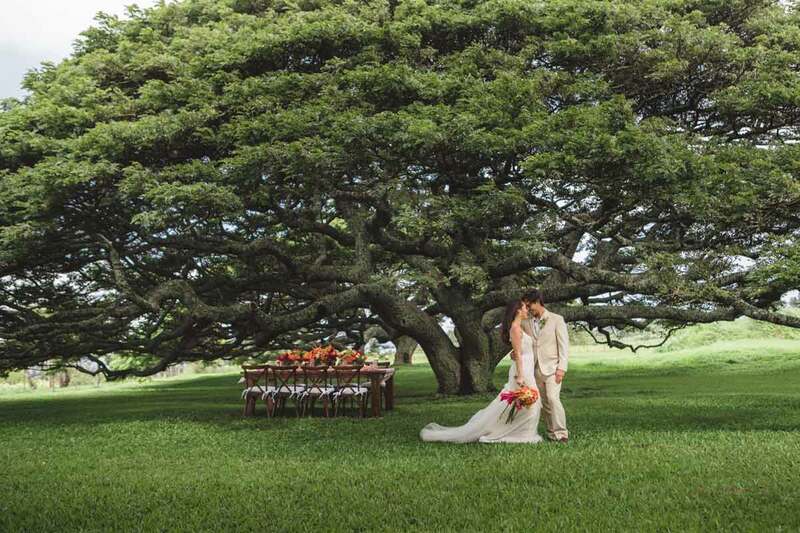 When it comes to planning your wedding, trust the largest production team with the most experience on Maui. 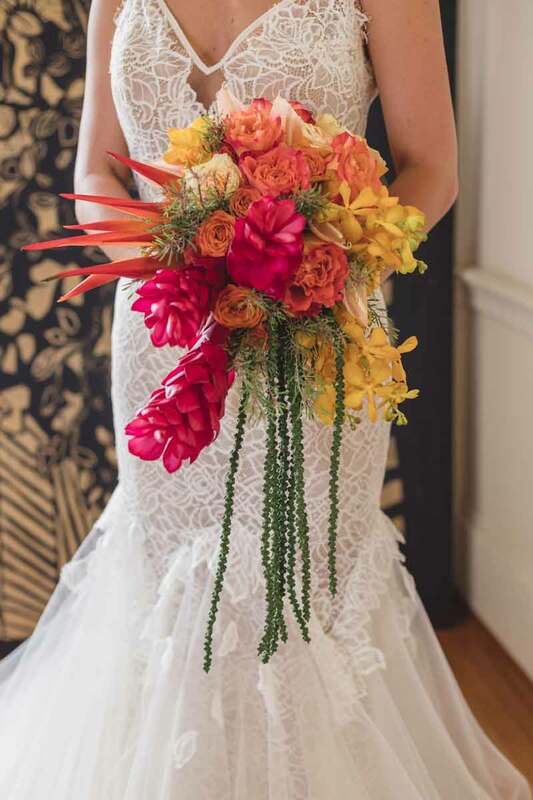 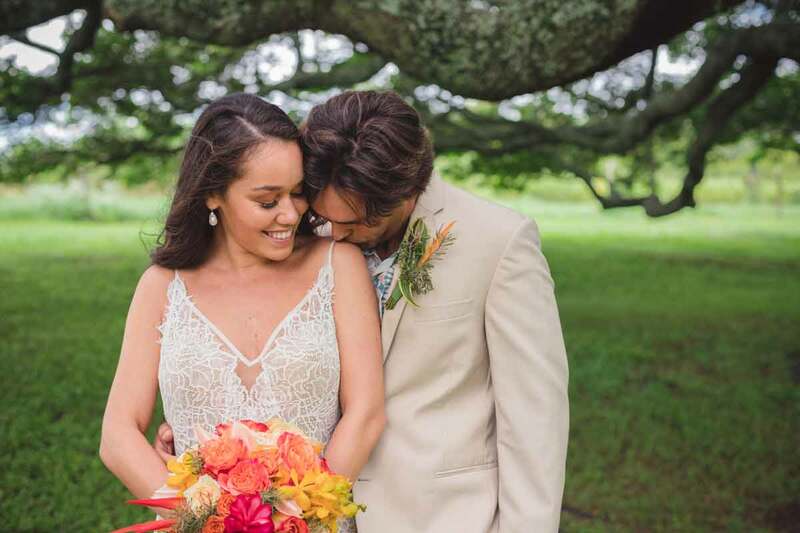 Envisions Weddings has created thousands of unique experiences and developed an unparalleled knowledge of the island we call home. 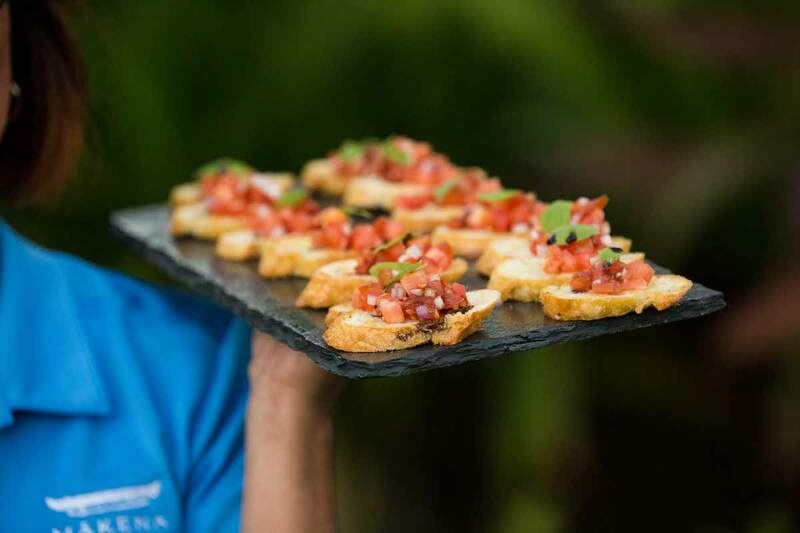 Our team draws from the latest technological innovations while featuring the ancient traditions of the islands. 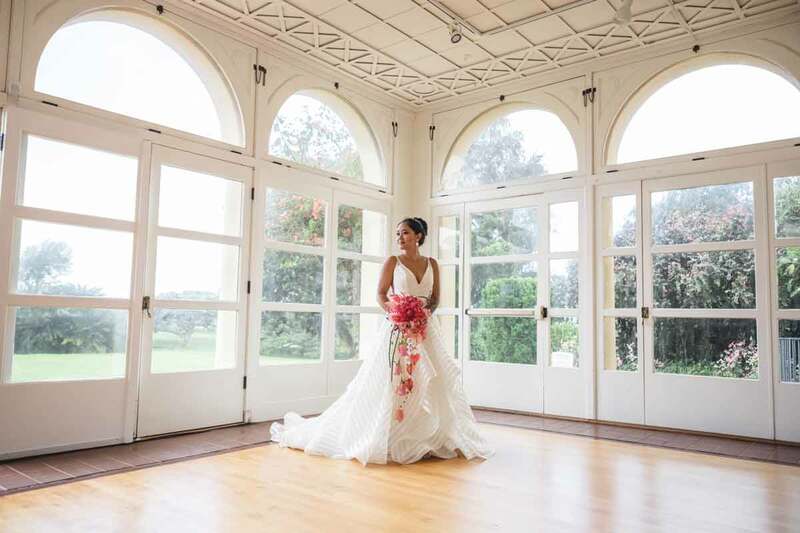 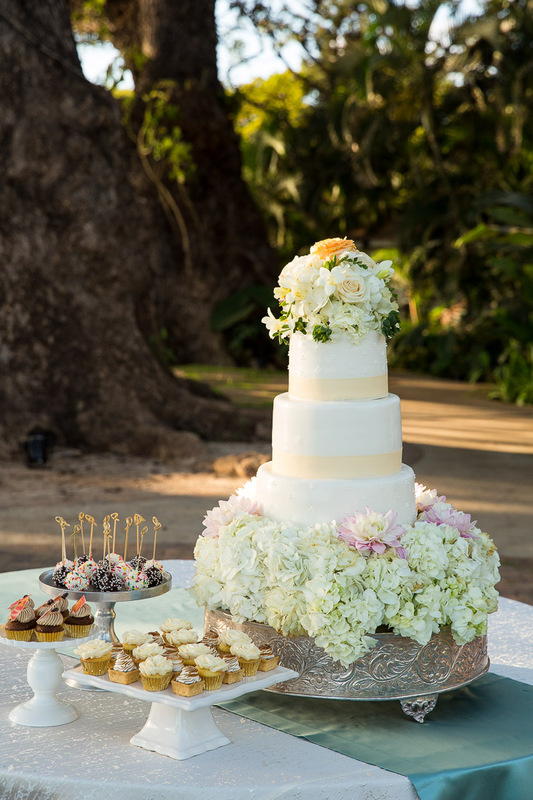 As a result, Envisions Weddings has a unique ability to produce awe-inspiring experiences for you and your guests. 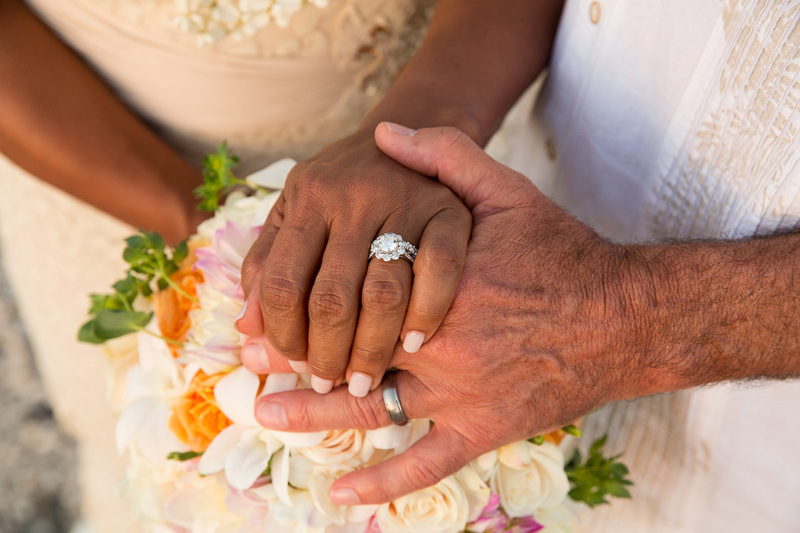 Look below to see a sample of the memories we have created for others in the past. 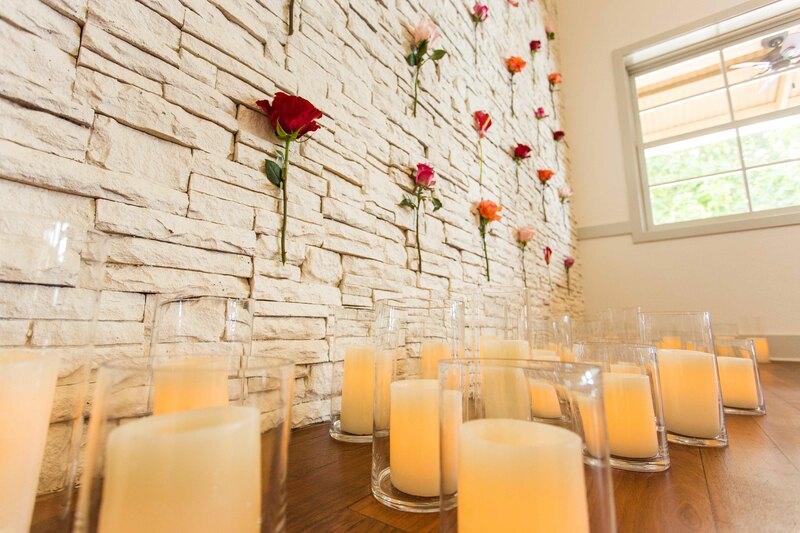 Pass beneath the stonework archway into this secret garden for your sacred and special celebration. 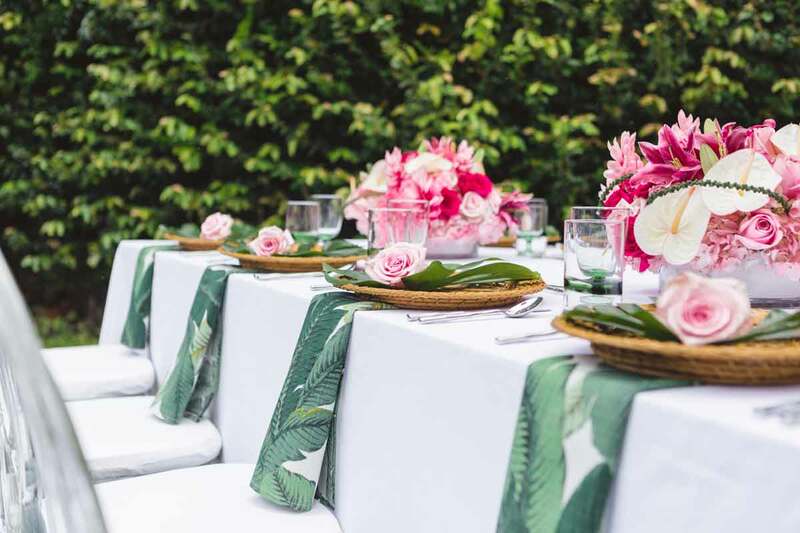 Perfectly picked roses lie gently atop the monstera leaf place settings. 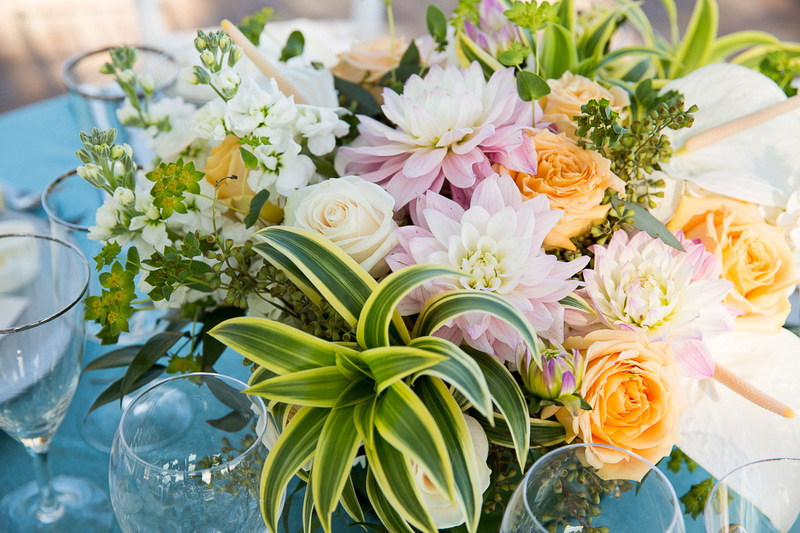 Exquisite centerpieces made from hand picked flowers radiate shades of pink and purple. 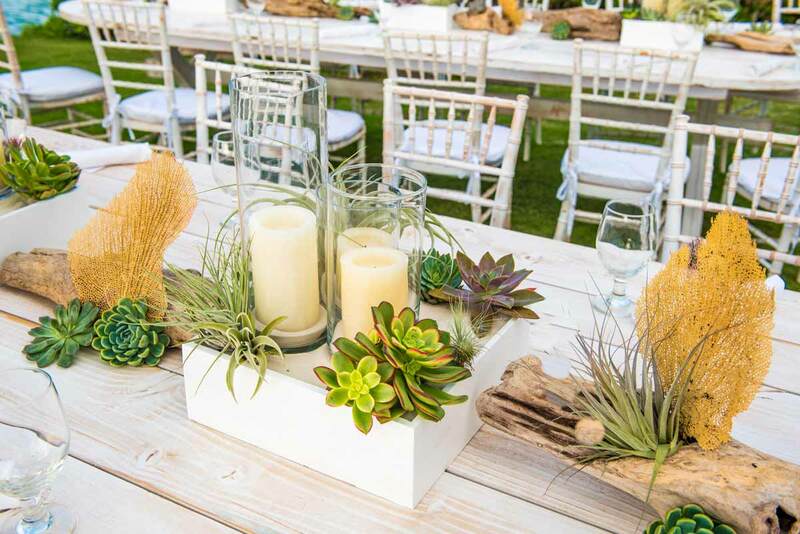 Mid-century design elements set the backdrop for this palm infused theme. 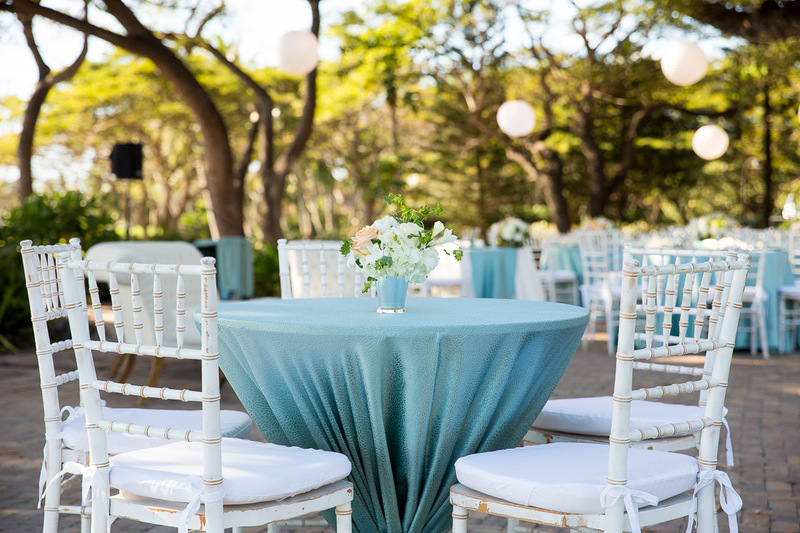 A classic jazz quartet plays soft romantic melodies as fluffy white clouds dance through the soft blue sky. 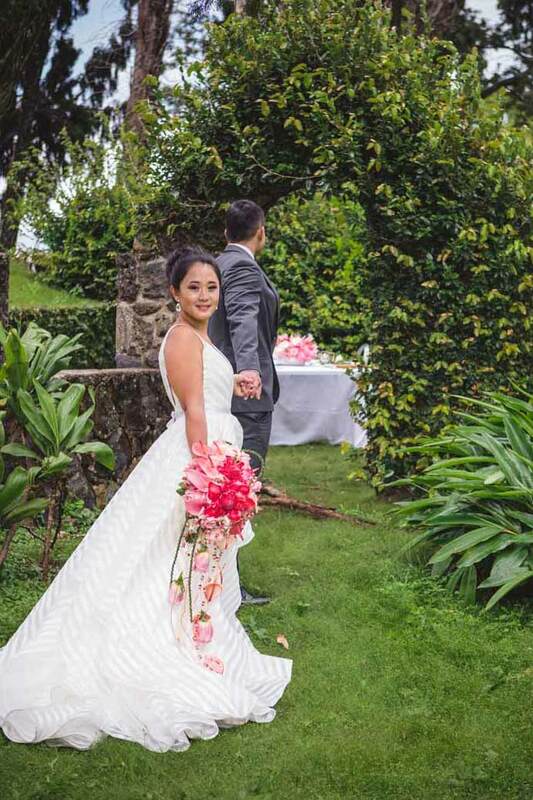 Share your special day in the pristine confines of this pink and palmy secret garden. 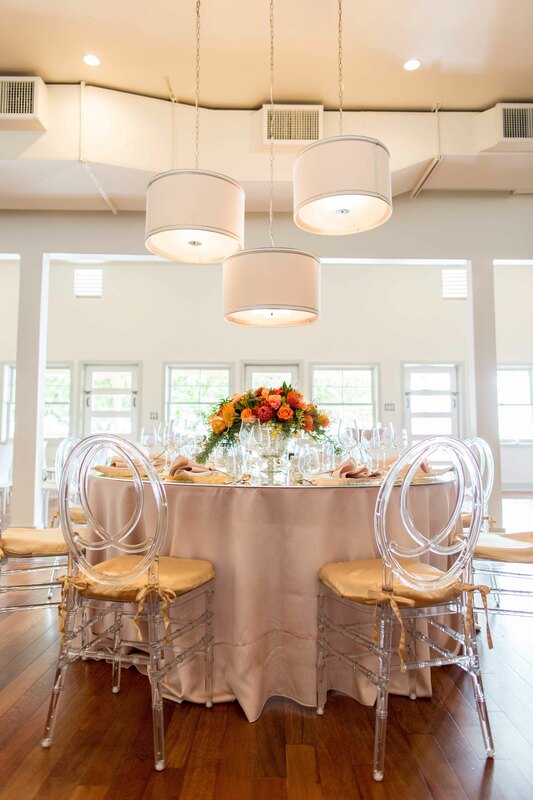 Gold rimmed china atop a glazed monkeypod table set the stage for this elegant and exclusive celebration. 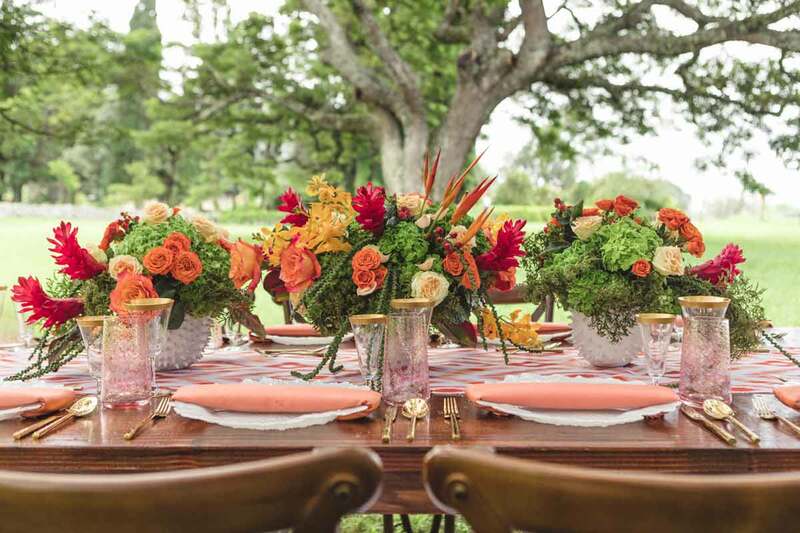 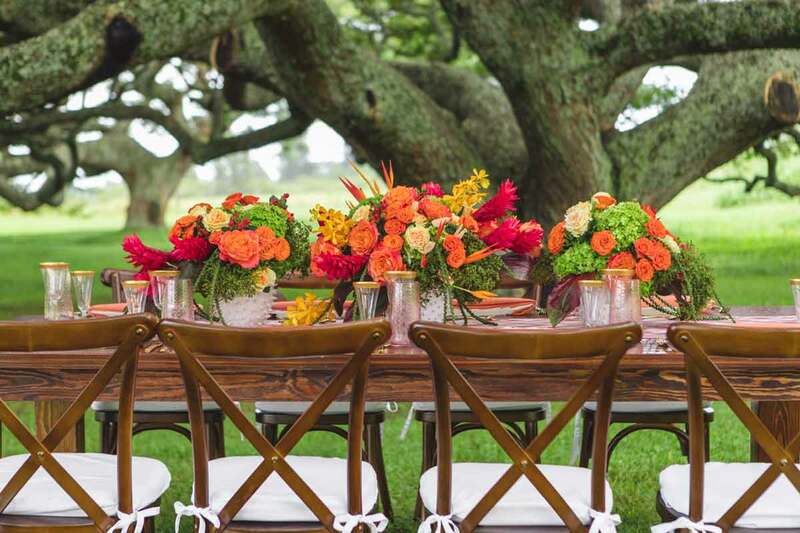 The massive mossy monkeypod branches outstretch overhead while hues of red, pink, peach and green draw your guests to the warm and elegant table. 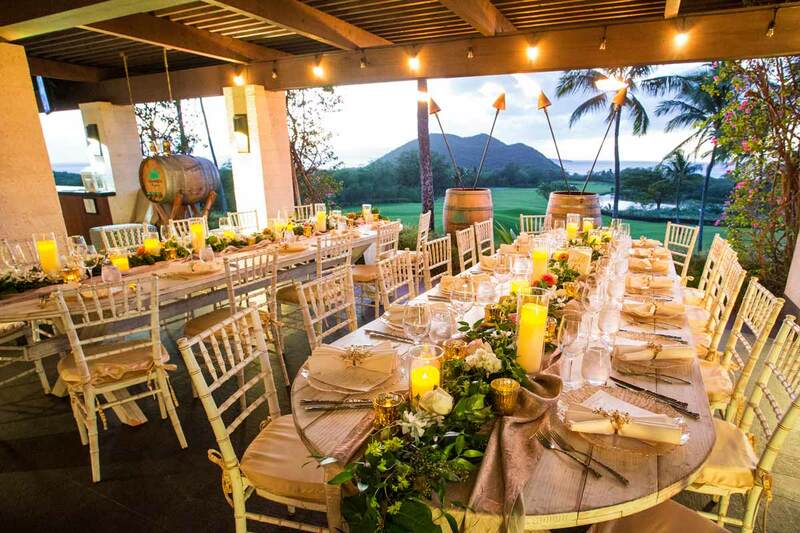 The cool and steady breeze whispers through the grounds as the music of the islands resonates through the trees. 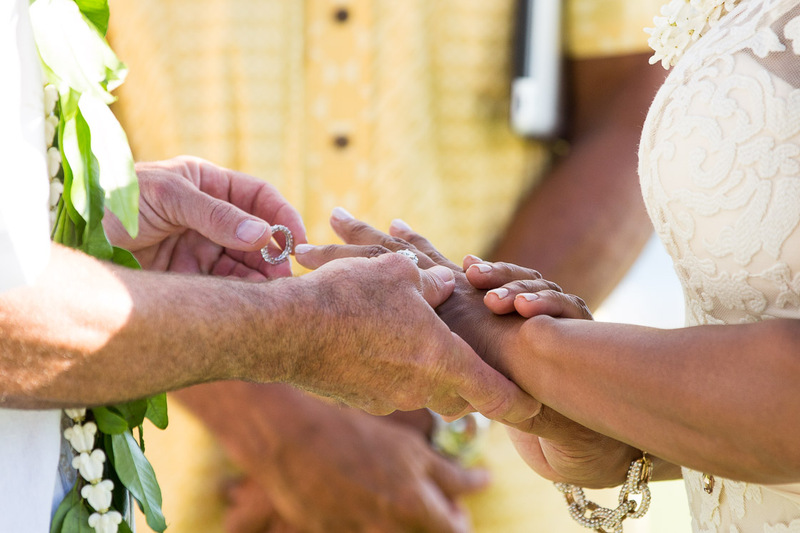 Let the magic of Maui wrap around you on your special day as you wed beneath the canopy branches. 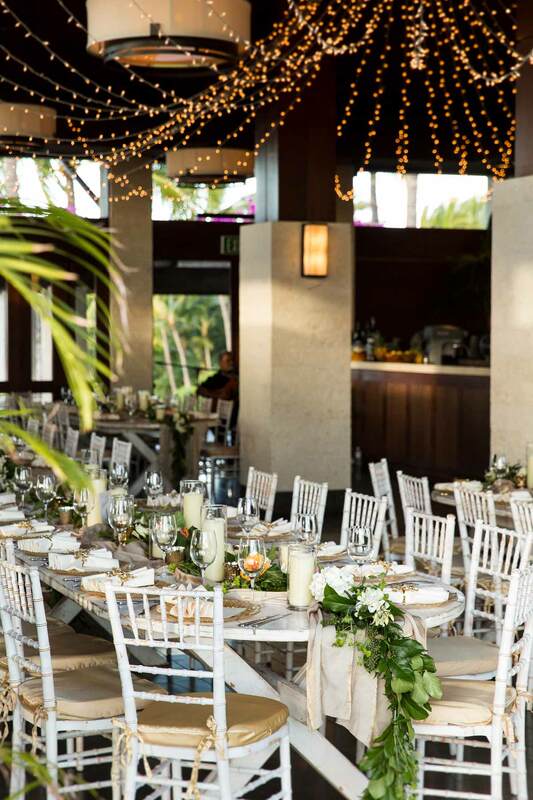 Ancient monkey pod canopies await you and your guests at this intimate beachfront concept. 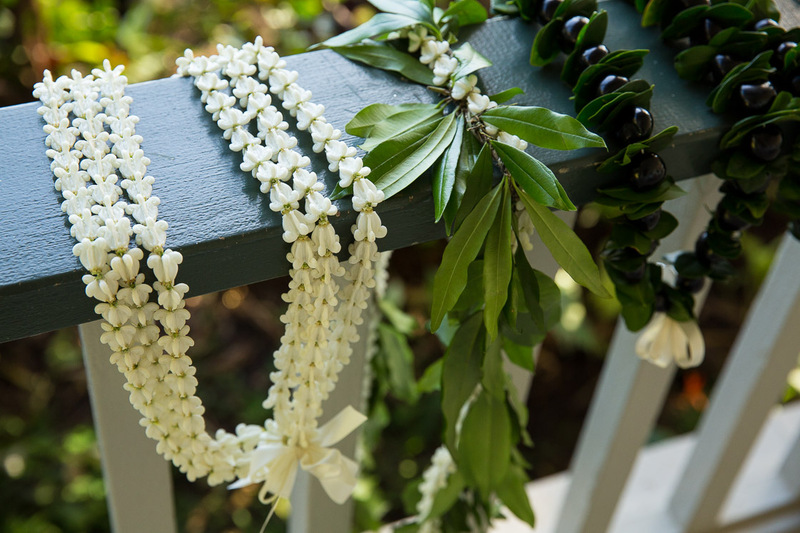 Fragrant island flowers catch the waves of the wind and surround your party with the aroma of aloha. 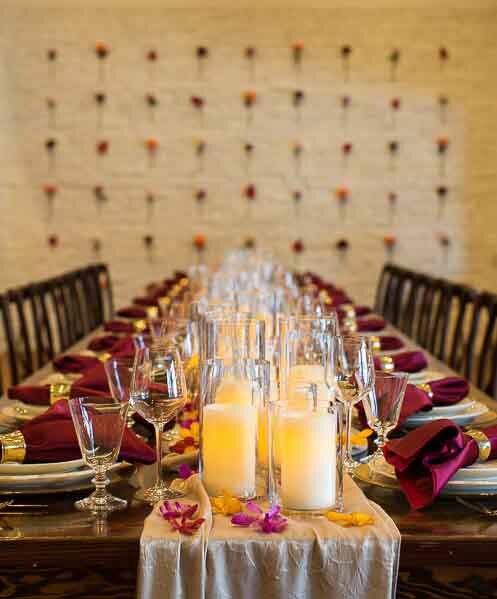 Simple muted colors draw the attention to the handcrafted floral masterpiece on each table as the live band echoes through the treetops. 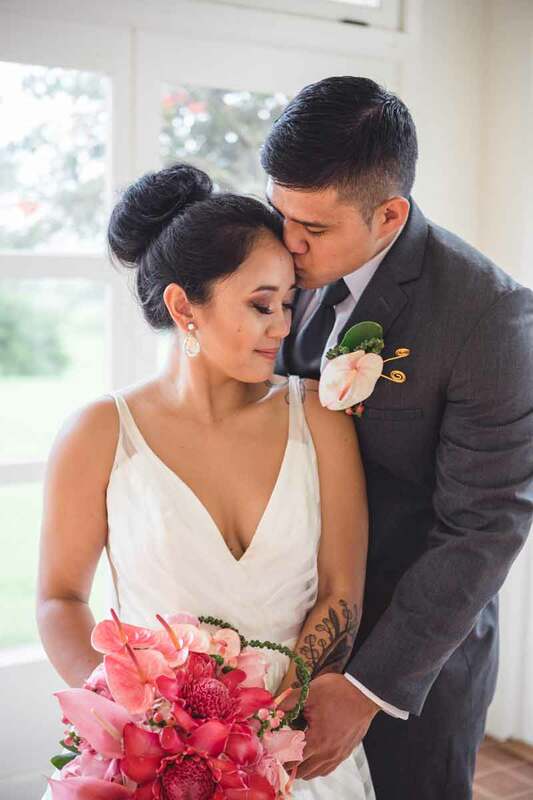 This intimate gathering has the allure of an elopement and all of the joy of a celebration among the closest of friends and family. 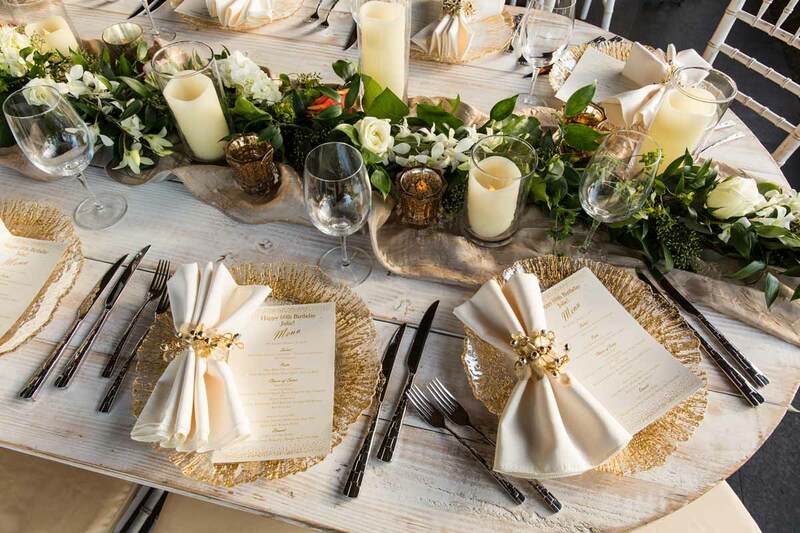 A palette of white decor adorned with green runners reminiscent of hakus, this Kissed by the Sun concept transforms from white to yellow as the sun sets below the horizon. 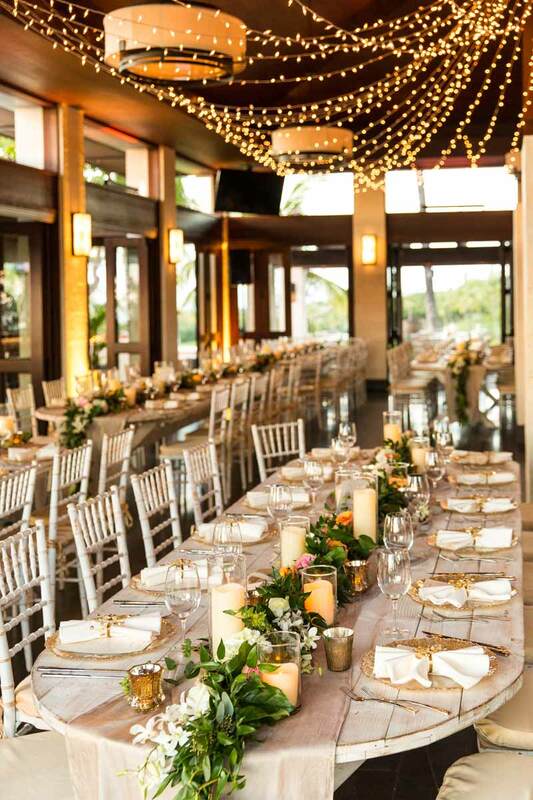 The candles and market lighting partner with the moon and stars as the celebration goes on. 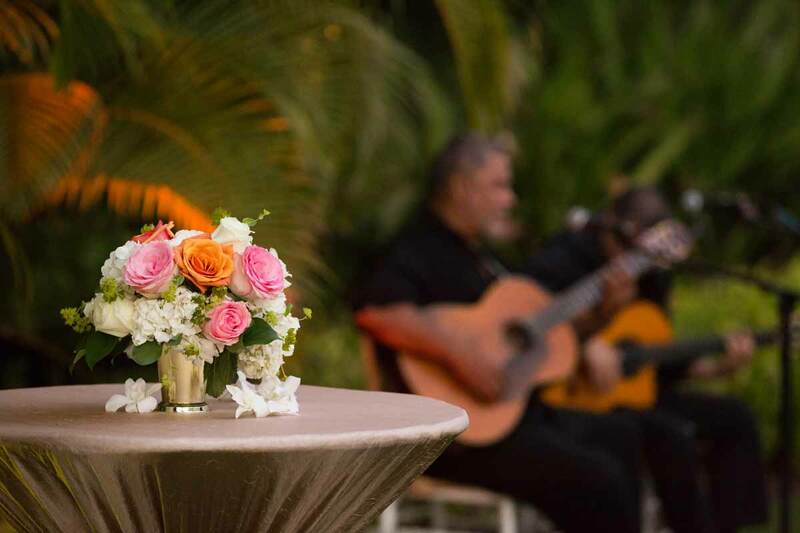 Serenaded by local slack key musicians, your party will bask in the warmth and elegance of this fresh aloha filled concept. 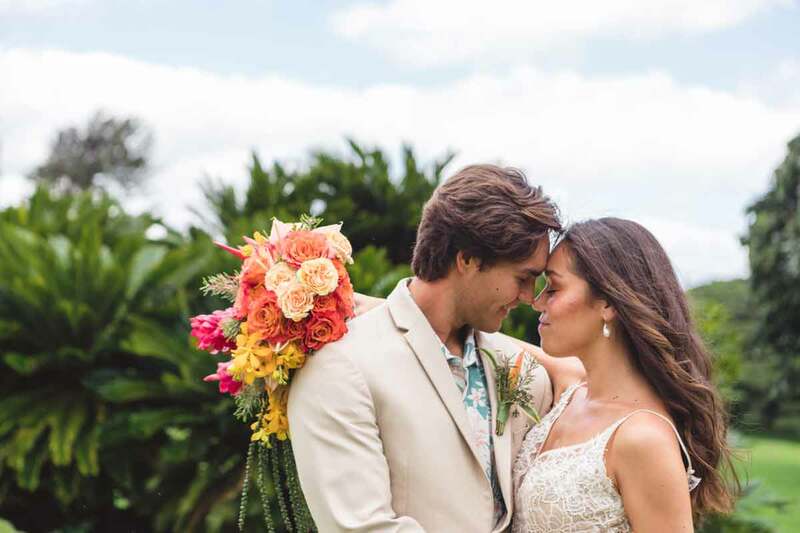 This concept celebrates the merging of two lives into one while embracing the hues of sunset skies and the volcanic islands. 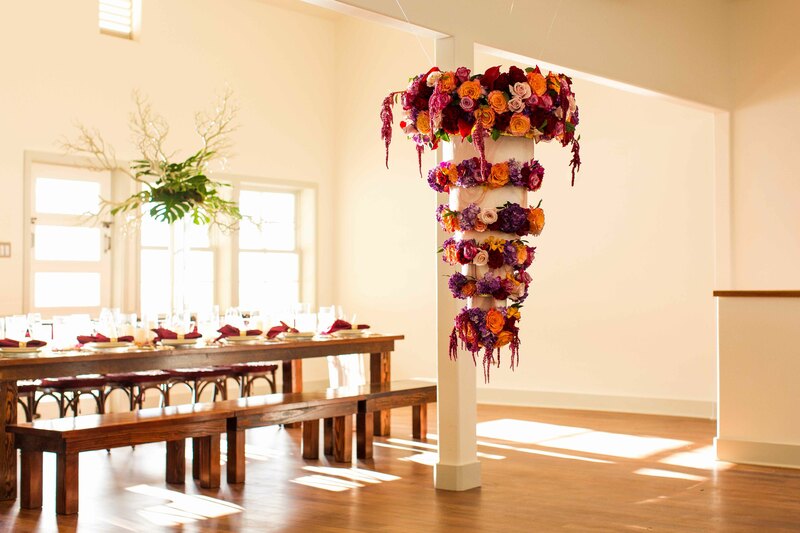 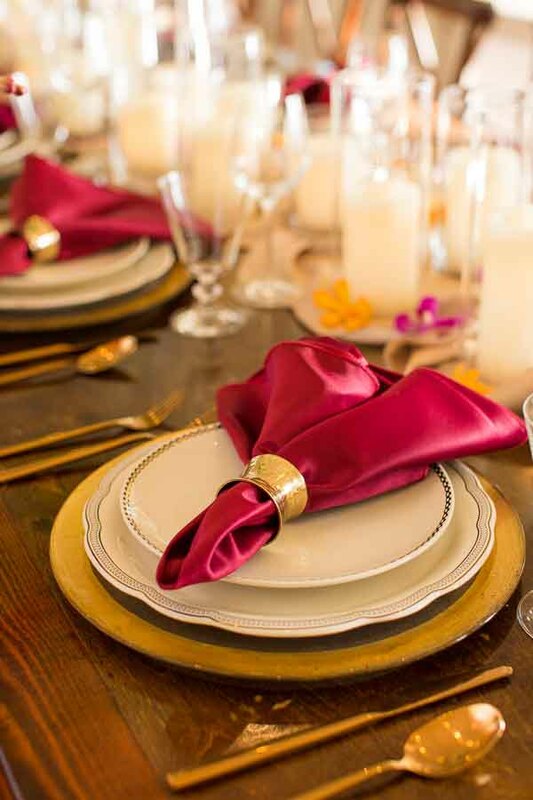 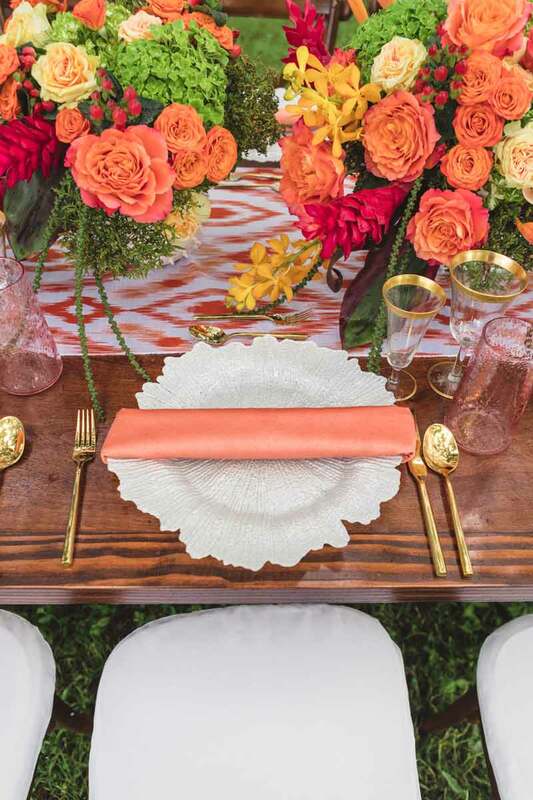 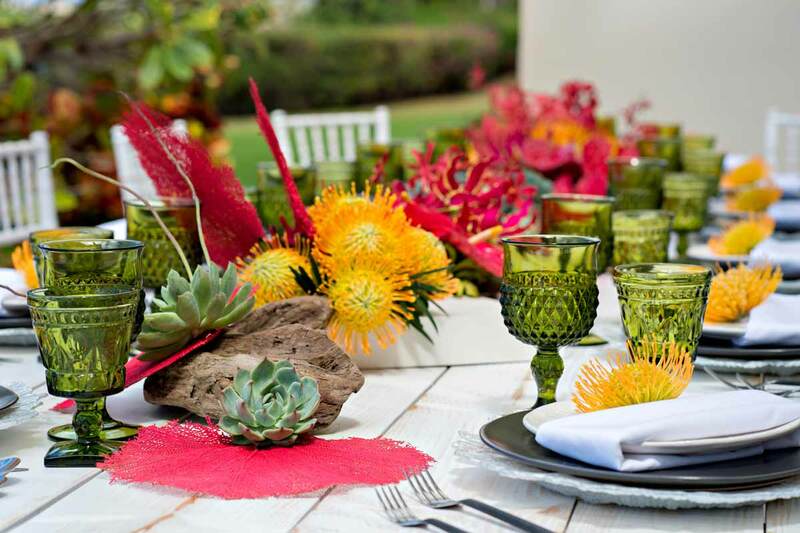 The vibrant shades of purple and orange adorn the walls and centerpieces, centered by the green stems and leaves. 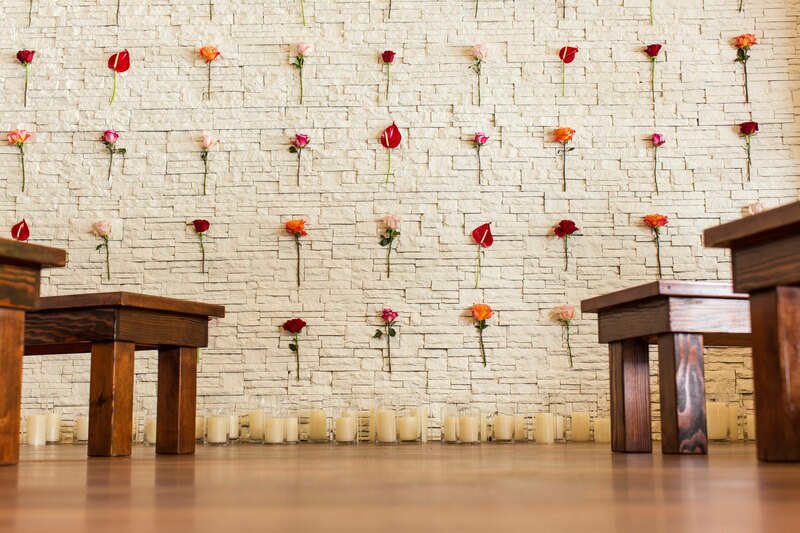 A breathtaking wall of roses and hibiscus exudes refined beauty upon you and your guests. 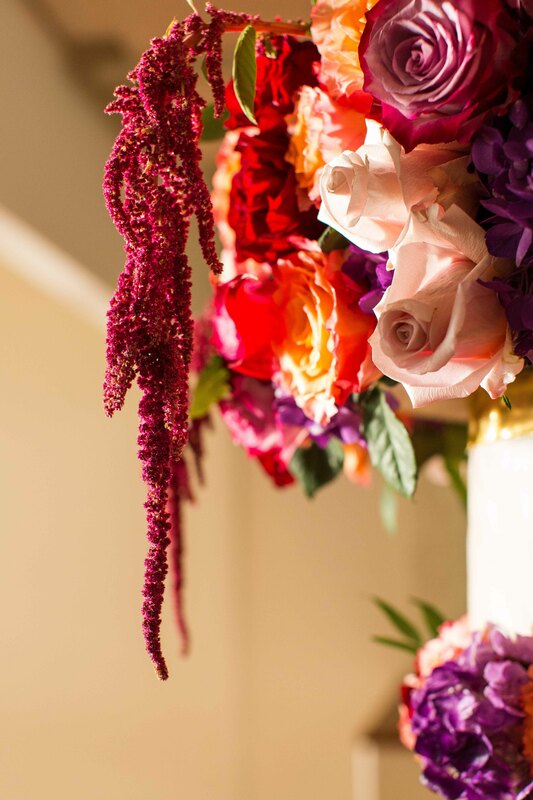 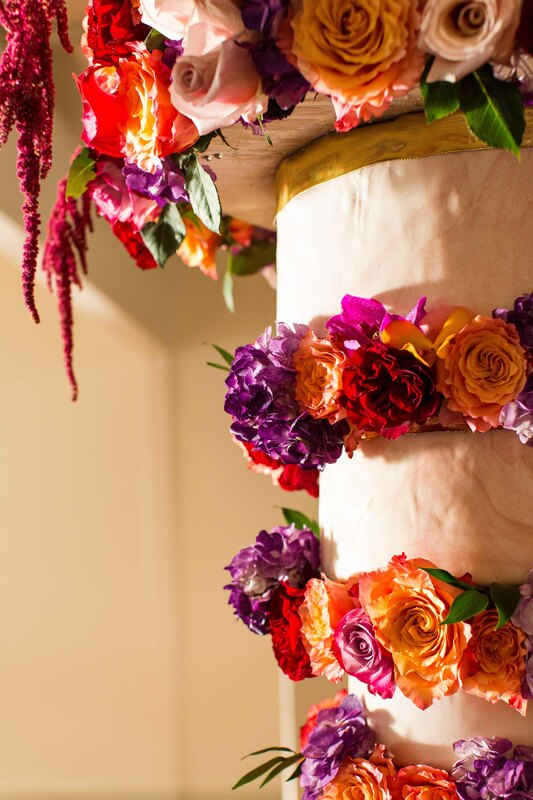 The floating cake embodies the theme with an abundance of floral elegance. 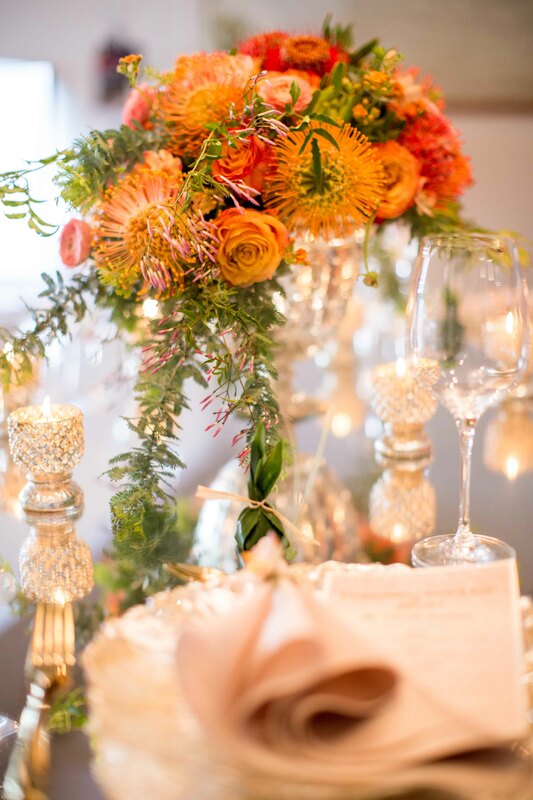 The crashing waves below at this oceanfront occasion sing the soundtrack for the fiery flora and unforgettable display of flowers. 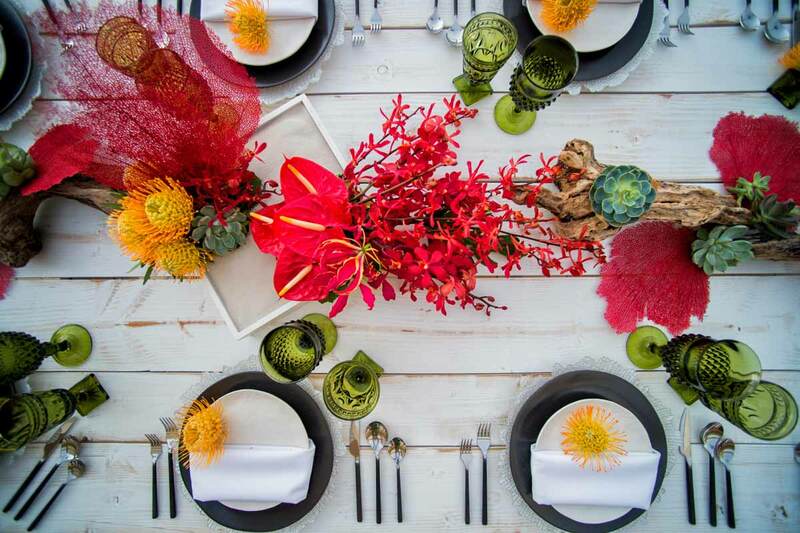 Invite your guest to roam barefoot at this unobstructed ocean point concept. 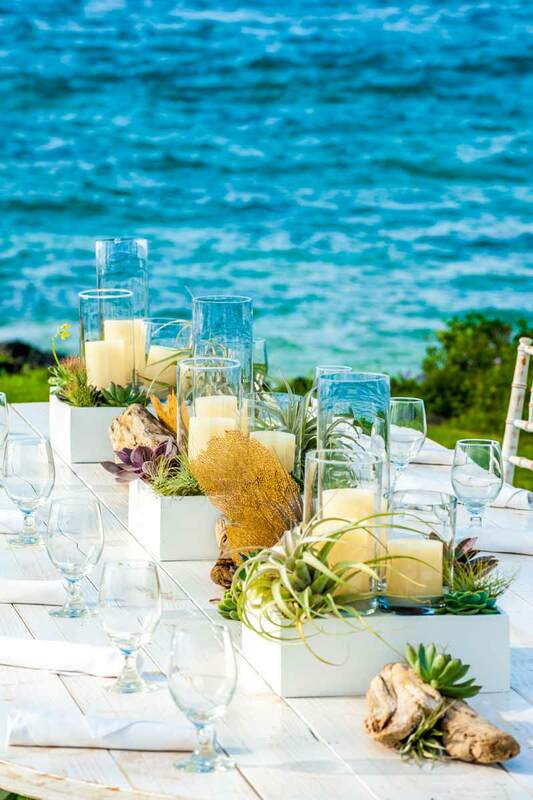 Splashes of green succulents, driftwood, and decorative coral bring the island’s floor to the forefront. 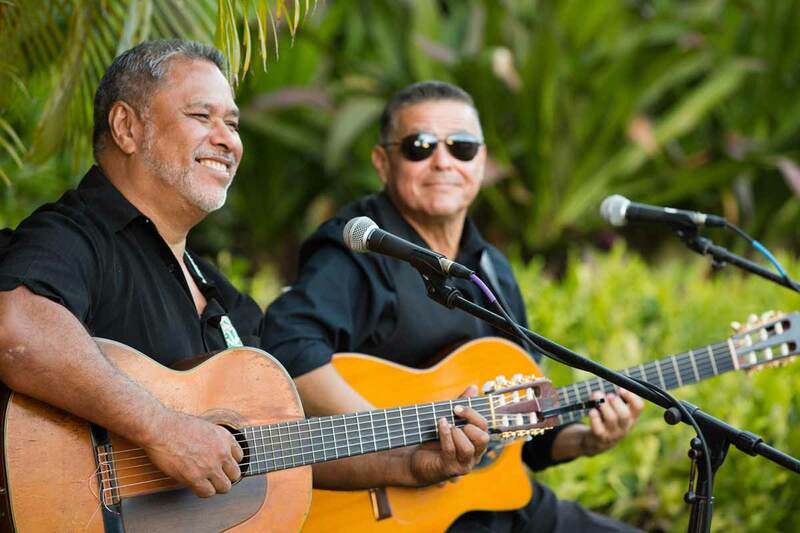 Transport your party to a time when the island was first inhabited as acoustic musicians play ancient Hawaiian melodies. 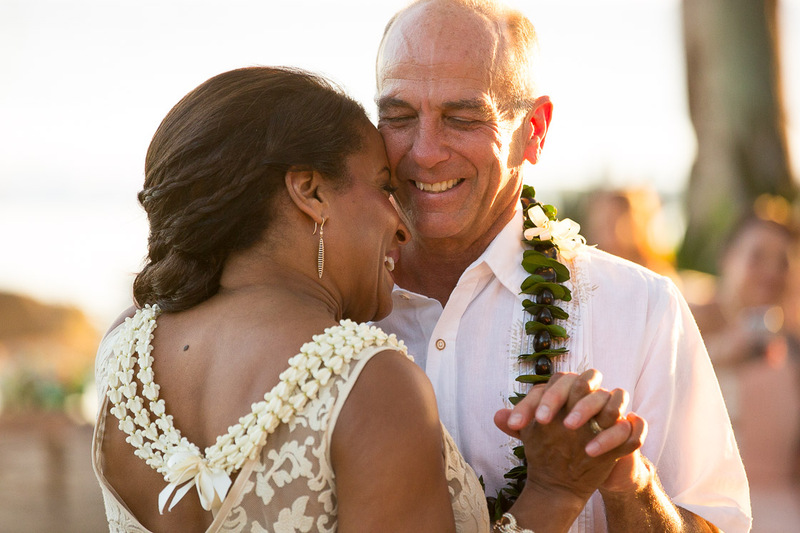 Feel the embrace of the island as you celebrate your special occasion in this aloha-rooted concept. 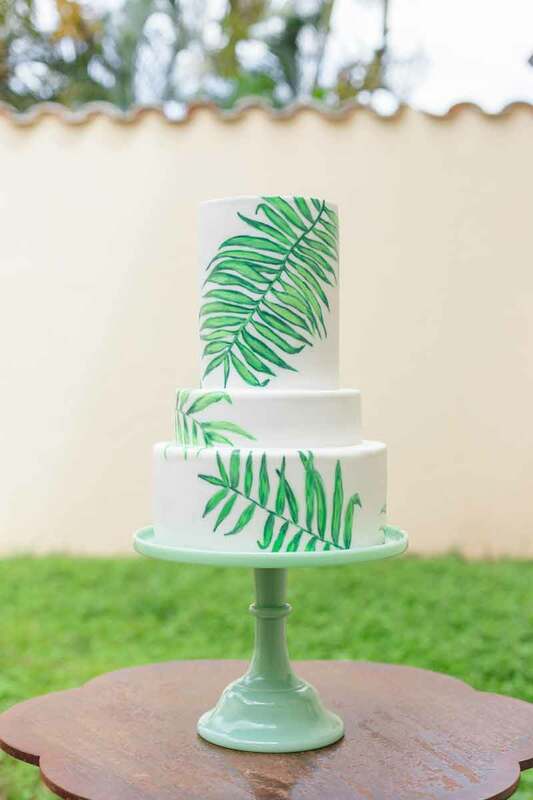 It’s never too early to begin! 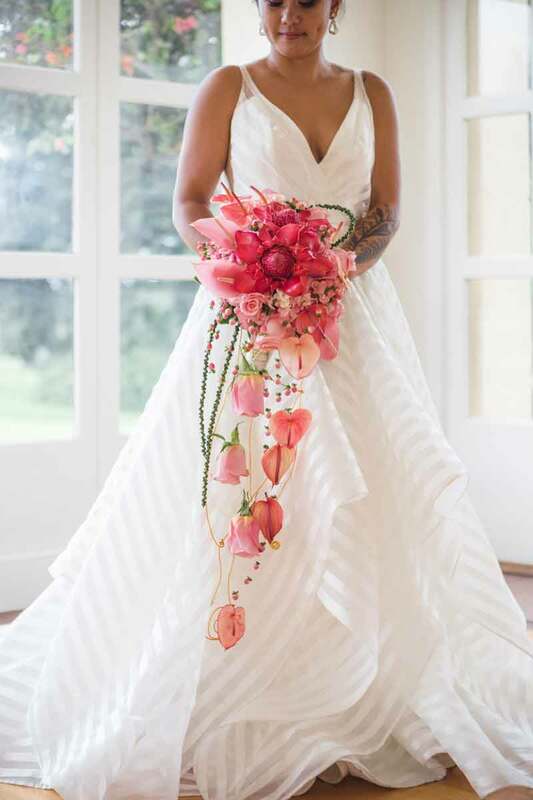 Let’s begin designing your Wedding Day!